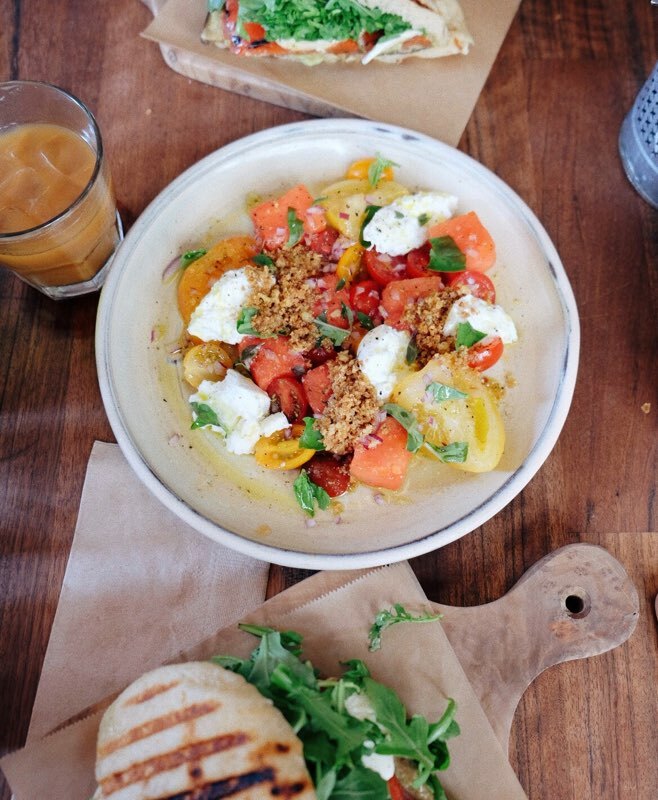 We're not going to lie; we traveled to Montreal, Canada’s 2nd largest city mainly to eat. This French-speaking city is known for food as good as anywhere; all served up with a side of je ne sais quoi. Elegant architecture, old world charm and artsy new neighborhoods like Mile End and Petite-Patrie make crossing the border even more appealing. Grab your passport and tag along with us as we explore Montreal. December-March is cold, really cold. Plan your visit during the early fall, late spring or summer months. If you visit during the winter Montreal boasts an impressive 20 miles of underground malls complete with movies, shops and even a skating rink. Download the free DINR app before you leave and enter alerts for hard to come by reservations during your stay. Traveling with kids? Make sure to visit the interactive Biosphere, a museum devoted to the environment located at Parc Jean-Drapeau, the former site of the 1967 World Fair. Stay: The grand dame without question is the Ritz Carlton; Montreal’s most luxurious stay. Using our Starwood points, we checked in to the W, with an enviable location bordering downtown and Old Montreal. The hotel may be ten years old, but the newly redone rooms are impressive-- comfortable, stylish and extremely spacious. Montreal has fabulous boutique options; next time we’d be tempted to book a room at the Hotel Le St-James, The Gault or L’Hotel. French Flavor: Blink and you’ll think you’ve been transported to a small village in France as you stroll the streets of Old Montreal. Sure it’s touristy, but the horse-drawn carriages and cobble stoned streets are charming. The best stores, art galleries and boutiques are found on and around Rue St Paul. Sights include the Notre Dame Basilica, Place Jacques Cartier and the Old Port Area where weather permitting walk the waterfront promenade. Save time for a spa treatment at drool-worthy Bota Bota; a historic ferry turned into an upscale floating spa. Seasonally have a drink on the rooftop bar of the Hotel Nelligan. 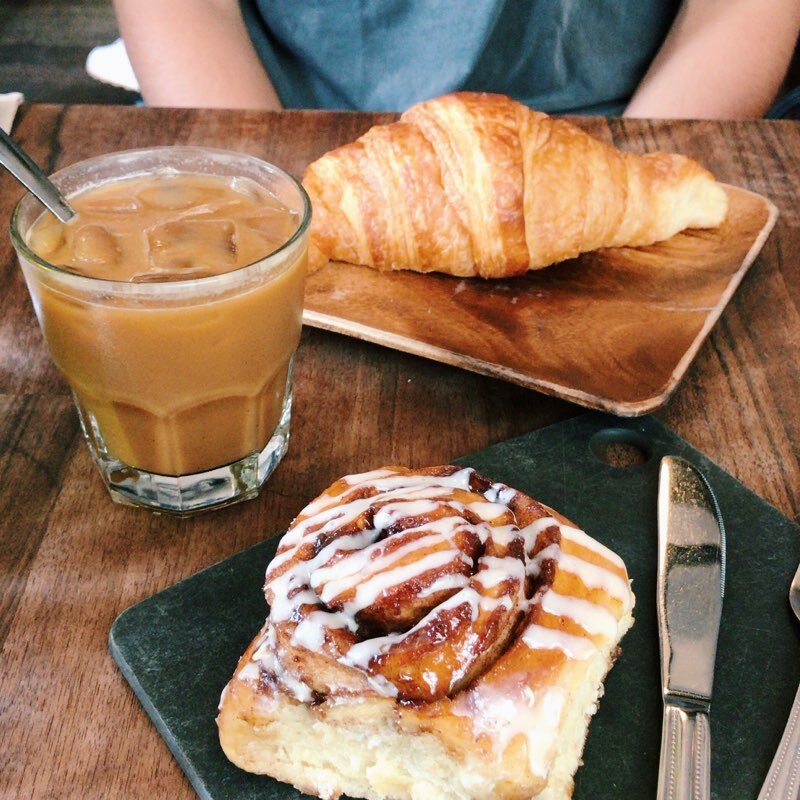 When hunger hits go for breakfast or lunch at Olive and Gourmando and be sure to order at least one cinnamon sticky bun for your table. (Warning--they often run out!) Need caffeine fix? Head to Tommy where you’ll be transported to Europe in an architecturally historical bi-level space—we loved the vibe and our delicious chai latte. Art Afternoon: Allow a few hours to explore the brilliant Museum of Fine Arts—with four Pavilions you can easily get lost here for an afternoon. (All pavilions are linked by underground galleries, a big plus in the colder months) The extensive collection containing over 40,000 works ranges from antiquity to contemporary, something of interest for every taste. 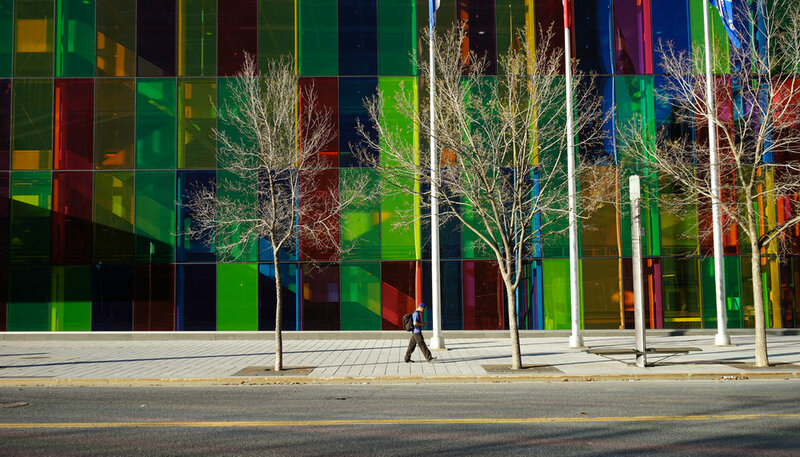 If you have more time, Montreal boasts other worthy museums including The McCord Museum, The Contemporary Art Museum, Phi Centre, Civilization Museum and Marguerite d'Youville. Dinner: We wanted to go, heard we must go, to Joe Beef, one of the worlds’ top fifty restaurants. As it was a last minute trip, reservations were impossible to come by. Then someone told us about a Canadian app called DINR—that alerts you to same day reservations and the stars aligned. Quirky and unassuming with friendly service and stellar food we loved our meal at Joe Beef. Down the street, their popular sister restaurant Liverpool House had been our standby if DINR had not panned out. Get Moving: For great views of the city, walk or run up the stairs at the Parc du Mont Royal, a 495 acre park in the heart of the downtown designed by Frederick Law Olmstead. Sight See: Immerse yourself in the city—all while being active on a walking or bike tours--one of our favorite ways to explore a new place. 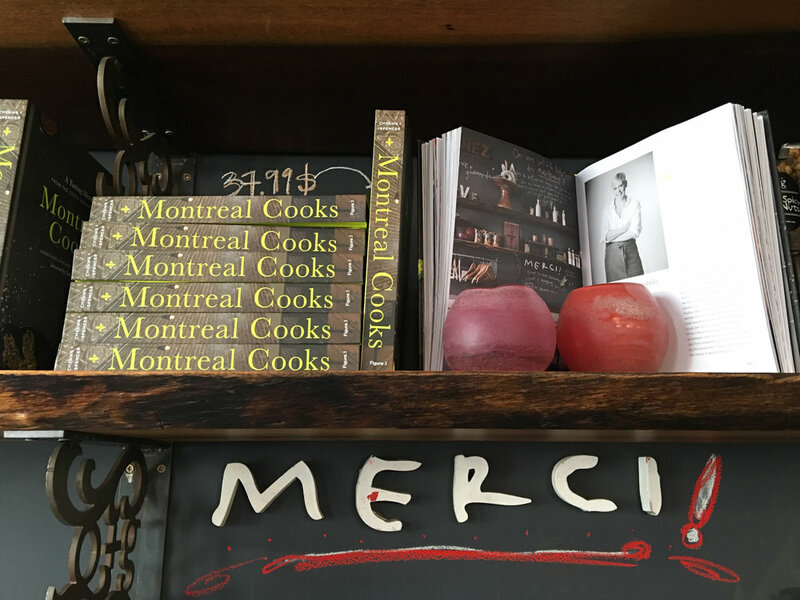 Fitz and Follwell tours visit must-see neighborhoods such as Old Montreal, Mile-End, the Plateau, and Mont-Royal, a great way to see the sights, history, public art, local food, and diverse culture. Another great way to cover a lot of ground is to rent a Vespa, allowing you to maximize your time, especially if it’s a quick visit. Friends just back used Montreal Scooter and told us it was a fun and unique way to see the city. Bagel Wars: In Mile End, two of Montreal’s most famous bagel shops: St. Viateur and Fairmount are only a few blocks apart. Each has its fans, visit both and conduct a taste test. Then there’s the rivalry with another famous bagel city—New York. Montreal’s are smaller, denser and sweeter thanks to a honey water bath. Whose bagels are better? Our cream cheesed lips are sealed. Food Market: We’re suckers for a food market and Jean Talon (not far from Mile End in nearby Petite-Patrie) did not disappoint. 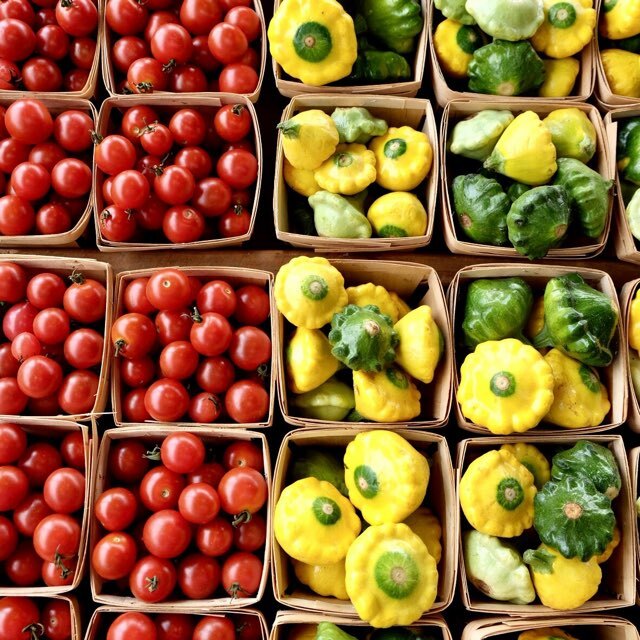 Locals head to Montreal’s oldest public market and the largest open air market in North America to stock up on produce, meats and fish, cheeses and baked goods. Food court stalls line the outer edges with ample seating, perfect for a late afternoon snack or coffee. Want more? Over in Saint –Henri the Atwater Market is smaller than it’s uptown rival, home to butcher and specialty shops. In spring and fall brave the line for Singaporean Laksa from the Satay Brothers, worth the trip alone. We had lunch at their new permanent restaurant, a few blocks away on Notre Dame Street, where their Asian street food is served in a fun, hip room at once reflecting and defining this up and coming foodie area. Dinner: There are so many excellent choices; it’s a hard job to choose where to go! We enjoyed sophisticated Portuguese cuisine at Ferreira Café, an upscale, buzzy spot still going strong after twenty years. Homey, popular Damas delivers Syrian fare with style and flavor. Looking for a classic French bistro head to L’Express, a Montreal classic. A trusted source raved about a recent meal at Montreal Plaza while another loved their meal at Lemeac. Nora Gray is one of the most talked about Italian restaurants in town. Friends raved about their recent visit stating they’ll remember their meal for a long time: “it was cozy, romantic, with excellent service and the most delicious pasta.” Also on our radar for future visits: Foxy, Le Fantome, and Le Club Chasse et Peche. Drink and Dance: Grab pre or post dinner cocktails at Santos or Furco. Late night the crowds head to clubs SOMWHR and Pandore.